PUNE: Sunburn, Asia’s most popular Electronic Dance Music Festival owned by Percept Live will be live streamed in New Delhi from December 29 to 31at Hotel Pullman Aerocity. 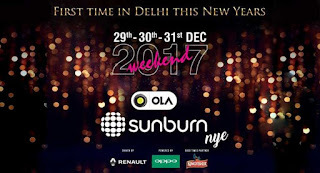 OLA Sunburn NYE (Echo) happening for the first time, is an event offering an opportunity to Delhites and dance music enthusiasts to experience the splendor of the Sunburn Festival sitting in Delhi at Pullman Hotel from December 29 to 31. Each day there will be a ravishing live performance by Robert Falcon, Salvatore Ganacci, and Will Atkinson at Pullman. The Intellectual Property (IP), Sunburn, which is owned by Percept Live, the live entertainment division of Percept Limited, will be held at Oxford Golf Resort, Pune, on December 28, and will make the audience groove on its beats for four days. Among the year’s most awaited festivals, Sunburn attracts more than 350,000 music lovers and hundreds of artists across multiple stages. Some of the bigwigs playing at Sunburn this year are Dimitri Vegas, Like Mike, Julia Bliss, Siana Catherine, DJ Snake, Afrojack, Martin Garrix and several others who would be turning the venue into a place never visited before with an undeniable exuberance. India’s favorite Nucleya will also be seen at Sunburn Festival 2017. 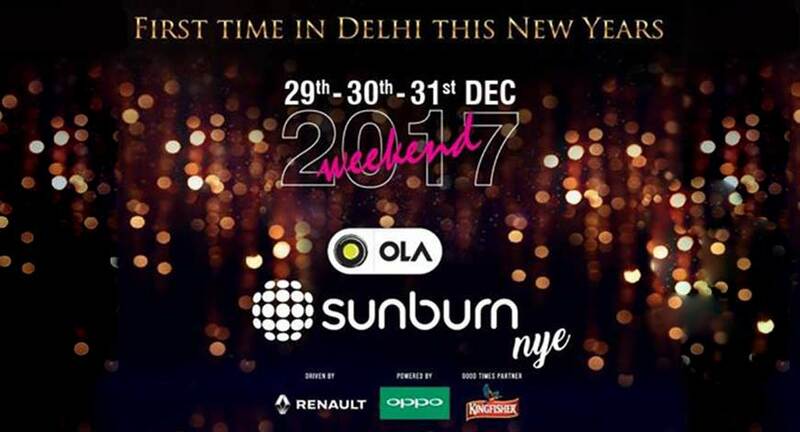 Powered by Renault and Oppo, OLA Sunburn NYE (Echo) has taken experiential to another level by providing dance music lovers of Delhi to attend the event live being at the capital.